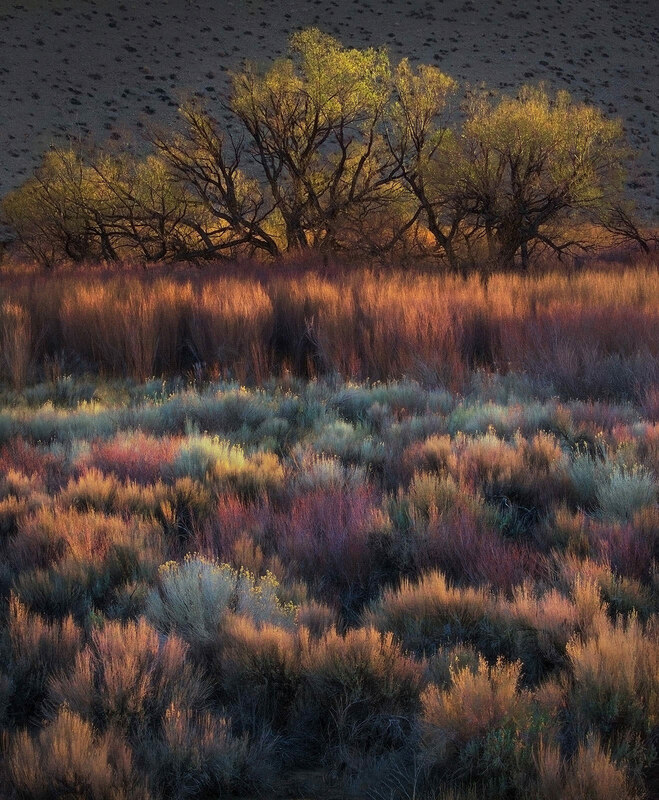 Another depiction of the many layers and colors of California's Owens Valley. This image captured in the rising sun, just as it began to illuminate the scene. Photo © copyright by Marc Adamus.